The regulation of online poker took center stage at a California conference among the state’s native Indian tribes. Co-hosted by the Pechanga.net website and the gaming research and analysis firm of Spectrum Gaming Group, the two-day affair was held earlier this week in Temecula at the Pechanga Resort and Casino. Billed under the title of “Indian Country Online: The 2013 Congress,” conference attendees discussed matters related to online poker legislation. One of the event’s speakers, Richard Schuetz, Commissioner of the California Gambling Control Commission, informed the gathered crowd that the commission is prepared to begin regulating online poker as soon as state legislators sign a bill into law. Although that sounds encouraging, it has not been encouraging to witness the failure of legislation to move forward in recent years due to the inability of the state’s gaming interests to find common ground. Tribes, card rooms and racetracks all want to be included in the Golden State’s online poker regime. But they can’t seem to see eye-to-eye on how to divide the wealth, so to speak. To further complicate matters, the state’s many tribes can’t agree among themselves on what’s best for the California tribal nation as a whole. Topics of the conference included the pros and cons of legislation on the state or federal level. Some tribes were of the mind that restricting the poker-only scheme to within state borders would be more beneficial. Other tribes believed that the best solution would be for legislation to be approved on the federal level, californiaonlinepoker.com reported. While tribes had differing opinions in that regard, they found little disagreement in believing that any previously drafted federal online poker bills have not been acceptable to tribal gaming interests. Should that continue to be the case with federal proposals in the future, it likely would prompt the tribes to urge the state to opt out of any federal plan. Such an occurrence would affect the rest of America by keeping over 38 million potential California online poker players from participating in an interstate format. Last month, eight California tribal organizations joined forces and drafted an online poker bill that would best represent their interests. The Internet Poker Consumer Protection Act of 2013 missed the deadline for the current legislative session. The proposal excludes horse racing interests from participation, which has undoubtedly to raised the ire of the state’s horsemen. Proposed bills currently under consideration before the state legislature include SB 678, the Authorization and Regulation of Internet Poker and Consumer Protection Act of 2013, that was introduced by Sen. Lou Correa. A placeholder bill, SB 678 allows the California Gambling Control Commission to put in place the framework for intrastate regulations. Like the tribal proposal, it excludes racetracks. Also before the state legislature is SB 51 sponsored by Sen. Rod Wright. Calling for the inclusion of advance deposit wagering firms and horsemen, SB 51 is not found favorable by many tribes. Wright, as many recall, co-sponsored an online poker bill last year that was pulled from the agenda of a committee meeting because support was lacking. Whether his almost similar bill receives a better fate this year remains to be seen. Other issues discussed at the conference included costs related to hosting poker sites such as license fees and marketing expenditures. Also touched upon was the ever-increasing use of mobile devices in online gaming. This is an area that certainly cannot be ignored as technology continues to advance and more and more players log on while out and about. 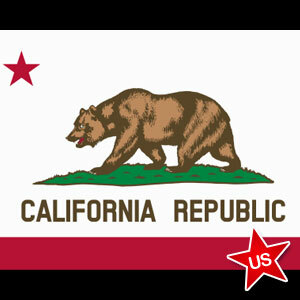 Many were in agreement that online poker will certainly be regulated in California at some time in the future. It’s no longer a question of ‘if,’ and is much more likely a matter of ‘when.’ In that regard, tribal conferences are advantageous to those in attendance to get a better understanding of some of the issues and problems related to the online gaming industry.